Are you considering having your currently-owned corvette judged? 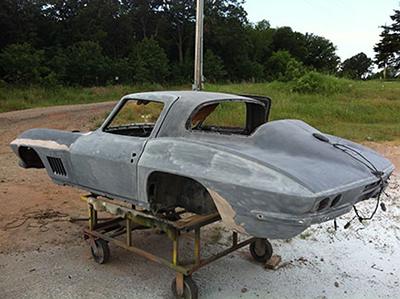 Corvette Resto-Mods are becoming very popular and for good reason. They combine the corvette's classic good looks with modern electronics, suspension and drivetrain. Are you considering purchasing or selling a corvette at a collector car auction? Are you thinking about selling a car you own or inherited and someone you know suggested a consignment? Learn about the four main avenues to selling your car: Private party, Wholesale Dealer, Consignment and Public Auction. What are the advantages and disadvantages of each method? What is the right choice for your situation? Are you involved in a legal dispute about the value of a corvette you have purchased? Contact us to discuss how we can help. F) I may have a buyer for your car or I may know someone searching for the car you own and want to sell. Clients contact me all the time looking to buy or sell a car. Let’s discuss my brokerage service and how I can introduce you to the right people. G) Key questions you need to be thinking about before you buy would include: 1) What is your budget? ; 2) What is the purpose of buying the car? Admit to yourself this is a "want" not a "need". Do you intend to drive it and have fun with it or are you interested in judging? ; 3) What year and body style appeals to you?